Don't bite my head off, but Amal's hair doesn't look as good as usual (to me). I'm thinking her hairdresser was too busy with Meghan's hair to get to Amal, so she had to do it herself and it didn't quite work. You know, Lizzy, I actually like her hair a lot. I was just thinking this while I was looking at a picture. But, of course, we all have different taste. Doug Ross - I'm not saying I don't like her hairstyle. It's just that (to me) her hair looks dry and a little stringy - kind of messy. It usually looks much sleeker and shinier. Maybe she was just having a bad hair day, like the rest of us do from time to time. On the fact that it usually looks shinier I agree. a bad hair day like us all at times. I don't think my heart could take George Clooney in a morning suit. He wore one at the first Met with Amal, right? Actually, at the first met gala he wore white tie and tails. A morning suit was what most of the guests wore today, so not really the white tie and tales of a grand evening, but alternatively male guests could also wear lounge suits which was what George went for. George Clooney, Amal Clooney, Silver Tree and Abraham Levy take their seats in St George's Chapel at Windsor Castle for the wedding of Prince Harry to Meghan Markle in Windsor. Mrs Silver Tree - Producer and director, known for her work on the US series Suits alongside Meghan. And George's brand ambassador for Casamigos is on the front row! He's marrying Princess Eugenie in a few months - at Windsor Castle! The woman next to George has probably talked for the entire ceremony. I was wondering during the ceremony why there was a spare seat next to Prince William and thought they might have saved one for one of the little ones in case they got tired and started to cry. Amal wore Stella MCcartney, so Lainey was wrong as were the other reports. Yep, and he was slammed by the yellow press for that, and paps ignored him when he did the press tour for 'The Peacemaker'. carolhathaway wrote: I was wondering during the ceremony why there was a spare seat next to Prince William and thought they might have saved one for one of the little ones in case they got tired and started to cry. I saw that , too. 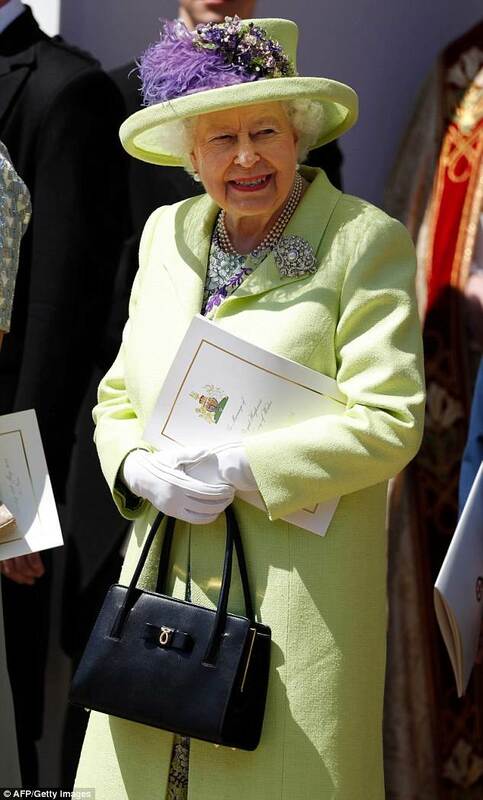 But then I read another article that said the seat was kept empty so the Queen would have a clear view of the altar. I think that's probably the real reason. I wonder why they didn't just seat her in the front row. I thought the music yesterday was stunning........the cellist (who is 19 and only last year won BBC Young Musician of the Year) and the solo soprano especially. I was in bits! Mel, I thought the same thing. Amal attended Harry and Meghan's nuptials wearing a custom Stella McCartney midi dress. With its cap-sleeves, cinched-in waist and pencil skirt silhouette, Amal's dress is as flattering as it is fabulous! We love the high-low detail to the bottom of the dress; adding a touch of playful tailoring to an otherwise classic shape. Want to emulate Amal? We've made it easy for you by rallying up similar dresses from your favorite brands below. Top off your look like Amal with a matching hat (complete with veil, of course!) and you're good to go. The News at Ten presenter, 51, is an ex-ITV royal correspondent who met Harry 15 years ago. By his own account, during that time he was keen to keep secret those matters the prince did not want revealed. 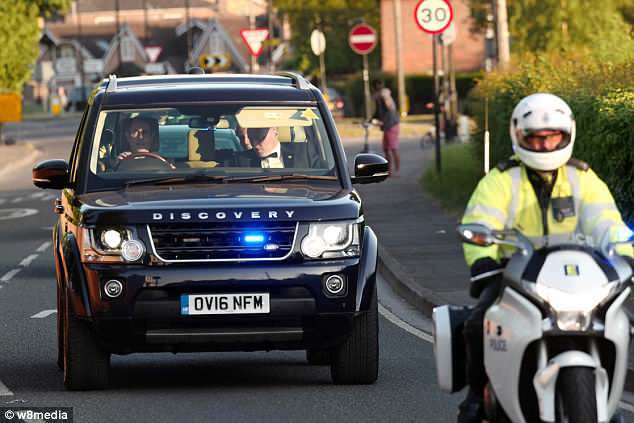 The ex-president, 56, has come to know Harry well after meeting him in an official capacity. But it is believed he could not be invited as it would have looked like a snub to current president Donald Trump. 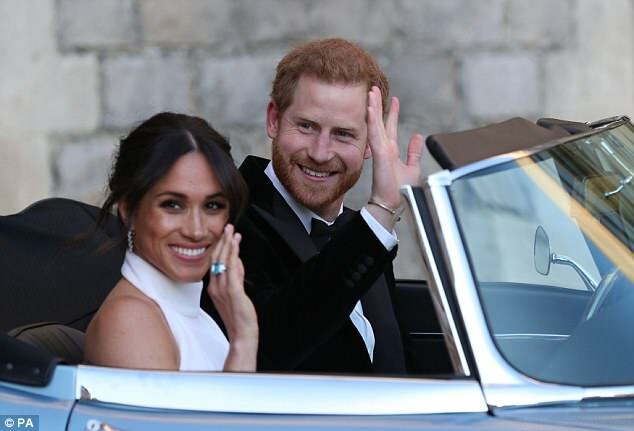 A-list celebrities as well as blue-blooded originals partied the night away with the newly titled Duke and Duchess of Sussex's. 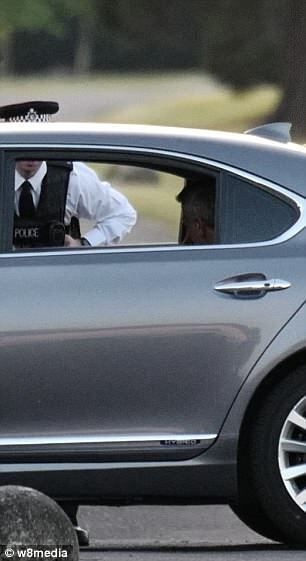 Among the Hollywood royalty there was George Clooney, who had to contend with inquisitive police officers for ten minutes while waiting at the gates of Frogmore House. 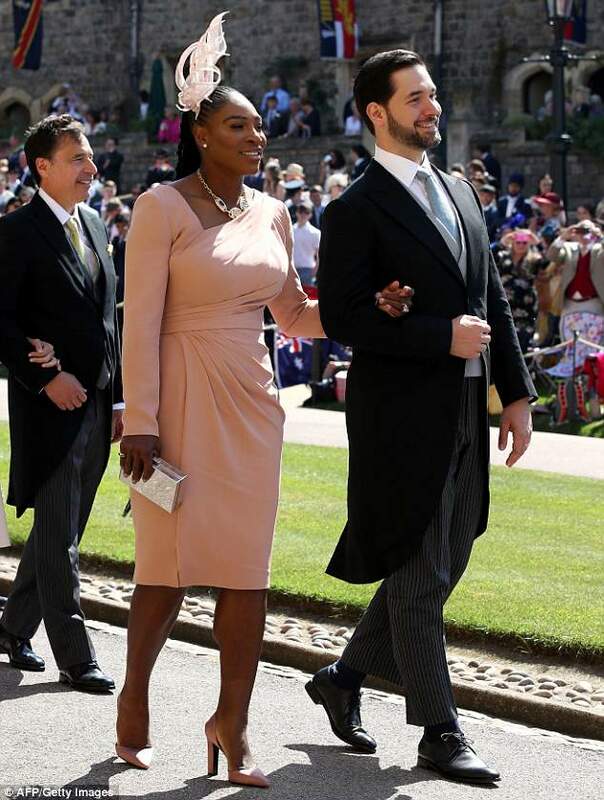 Other stars, including Serena Williams, Priyanka Chopra and Jessica Mulroney were quick to take to Instagram to show off glamours frocks they wore to the function last night. 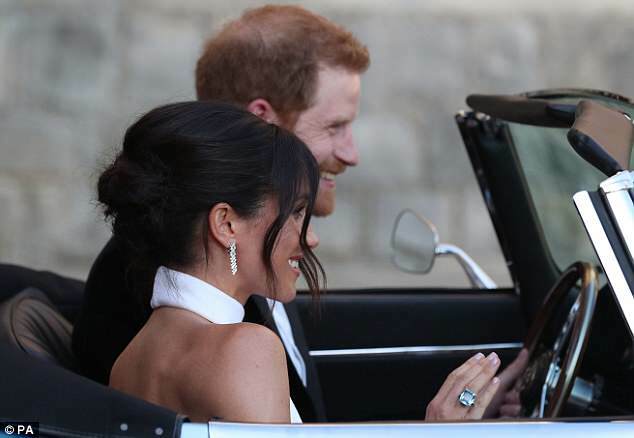 The newlyweds and an inner circle of 200 guests revelled in a glamorous reception — with the bride wearing a ring which belonged to Diana, Princess of Wales. 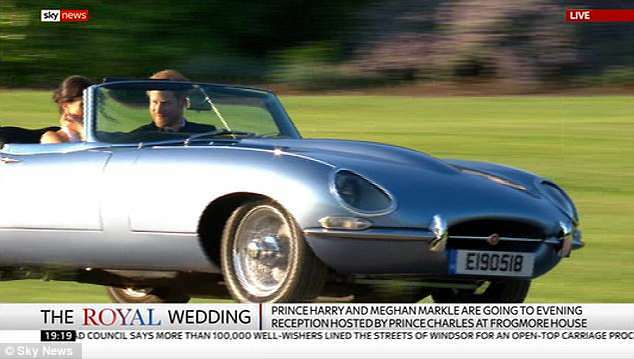 With both celebrities and royals in attendance, the combined wealth on display was a whopping £3billion as Harry and Meghan exchanged vows earlier that day, report the Sunday Mirror. Among the guests, Oprah is worth £1billion alone and the Clooneys are worth £375million. 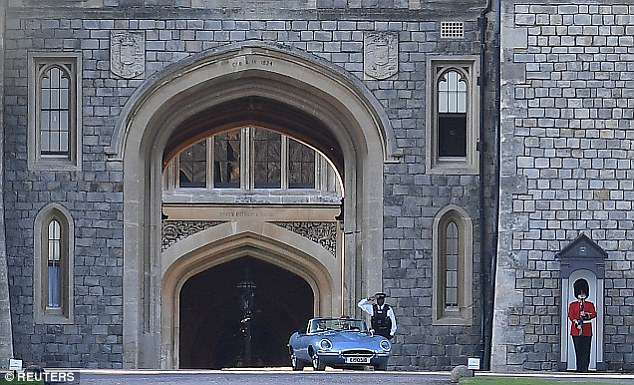 Loud music could be heard across the grounds of Windsor Castle as the newlywed’s guests celebrated. Crowds were still celebrating in the town centre as fireworks lit up the sky over Windsor as Harry and Meghan danced the night away. 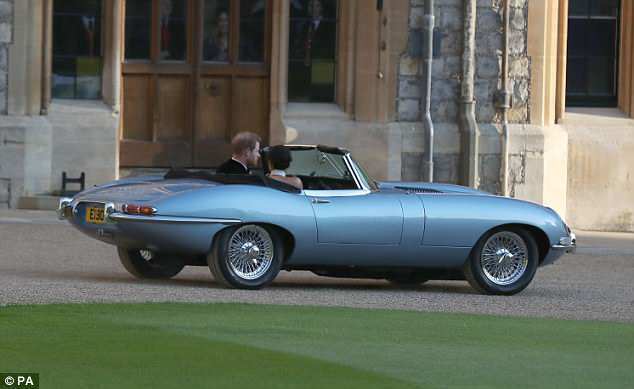 The new Duke and Duchess of Sussex rolled up to the grounds of the mansion in a silver blue Jaguar E-Type Concept Zero. 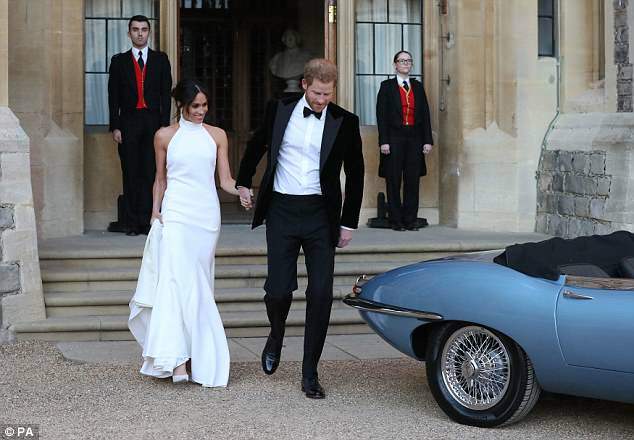 Described by Enzo Ferrari as 'the most beautiful car ever made' the E-type, launched in 1961, has regularly been voted the best-looking car of all time. 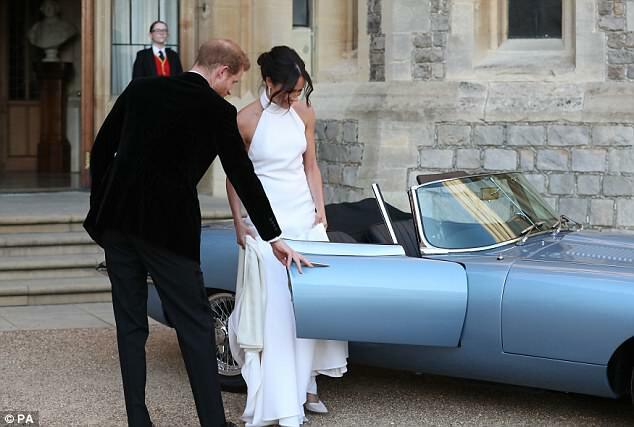 Arriving at the entrance to Frogmore, Harry leapt out of the dazzling motor to open the door for Meghan, who had changed int a bespoke lily white high neck gown made of silk crepe - designed by Stella McCartney. 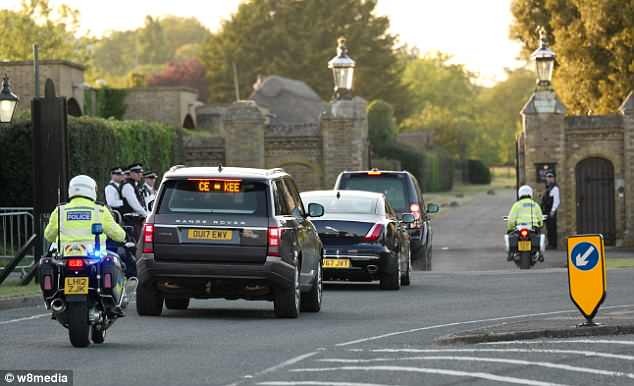 Meghan's hair was in a relaxed up do, and she tucked loose strands behind her ears amid the breeze as they headed to Frogmore House. 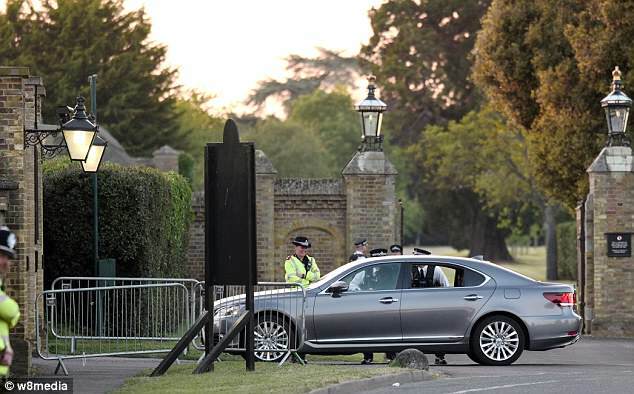 Harry, who drove Meghan through the Windsor Great Park in the early evening sunshine, was dressed in black tie. 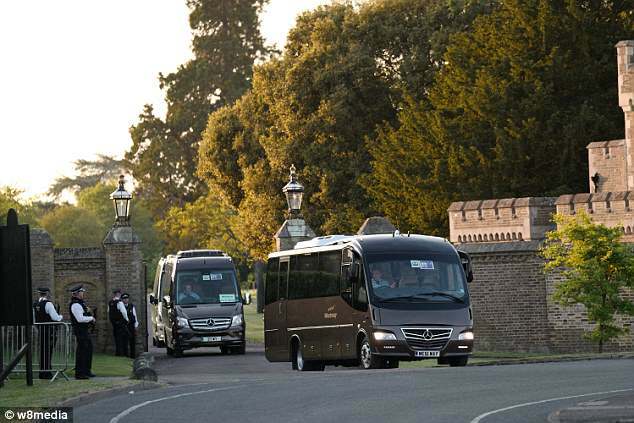 A double decker coach full of guests also arrived from Cowarth Park hotel in Ascot, where Princes Harry and William spent the night before the wedding. After a brief moment when it looked like the vehicle may have been too big for the entrance, the coach managed to squeeze through the gates. 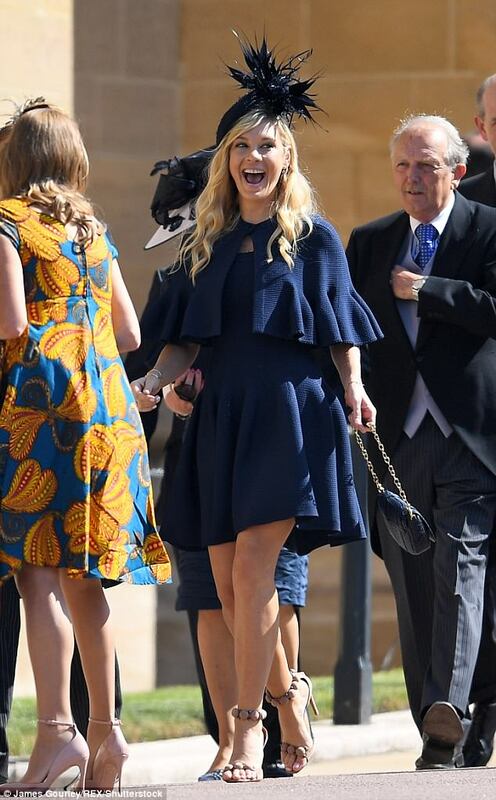 Meghan apparently made a speech to guests during the evening event, which was put on by the Prince of Wales. 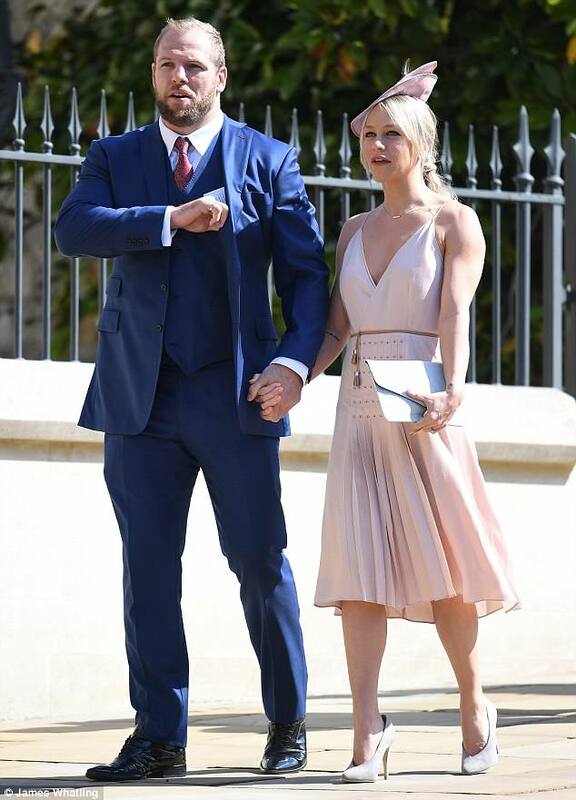 The occasion was a private affair, allowing the guests to relax and celebrate with the happy couple. 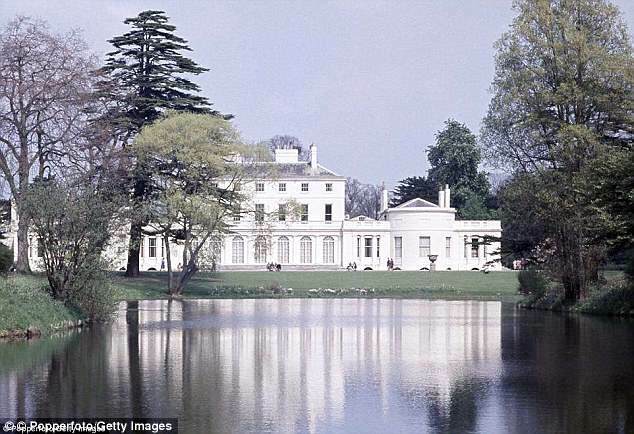 Frogmore House, a 17th century English country house, stands in the home park of Windsor Castle and is part of the Crown Estate. 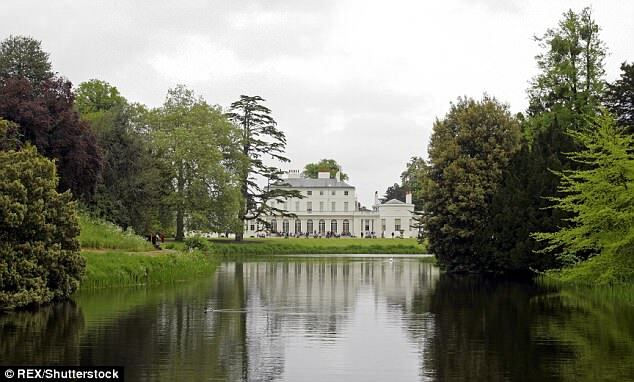 Although it is no longer an occupied royal residence, Frogmore House is frequently used by the Royal family for private entertaining. 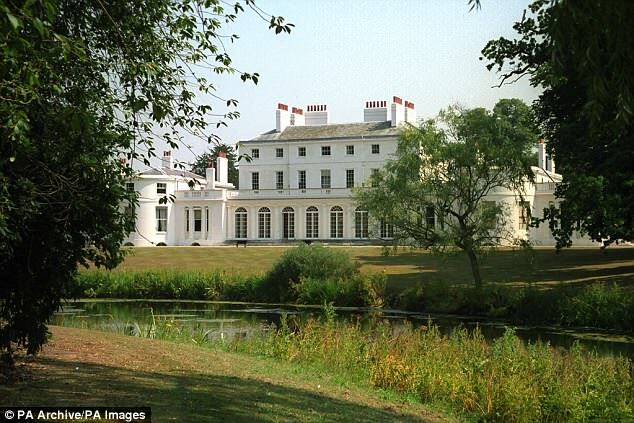 The interior of Frogmore House is said to leave fascinating clues about the interests and talents of the generations of the royal family who have lived there over the years. Queen Charlotte and her daughters' passions for art and botany are reflected throughout the house, and works by the Duchess of Kent, who lived at Frogmore for almost 20 years, and those by her daughter Queen Victoria can be seen on display. The 35-acre gardens at Frogmore House are one of its most enduring attractions. First laid out for Queen Charlotte in the 1790s, they are based on a model 'picturesque' landscape. It is only open to individuals on three days of the year. There were no real clangers on the big day. No outrageous hats from Eugenie and Beatrice. No outrageous bottoms threatening to eclipse the bride. There were only two slight faux pas: Amal Clooney threatened to outshine the sun, and the mother of the bride wore mint while the Queen chose lime: almost, almost a colour clash. 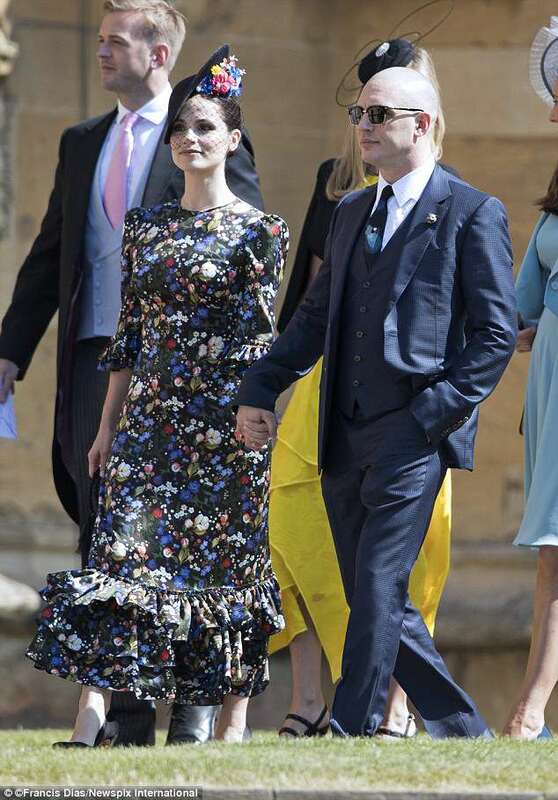 On the whole, the female guests – particularly the Royals – had put in time and effort to get it right, and had clearly been poring over the spring/summer catwalk photos to make sure they were all bang on trend. Hence, there was lots of asymmetric tailoring on show, so much so many assumed Windsor had been built on a hill. There was also a riot of hot colours and pastels, and enough florals to fill the stands next week at Chelsea. The length of skirts proved problematical: either a tad too short, a la Eugenie and Joss Stone, or midi length, which looks great on teenage supermodels but a little droopy drawers on normal women. 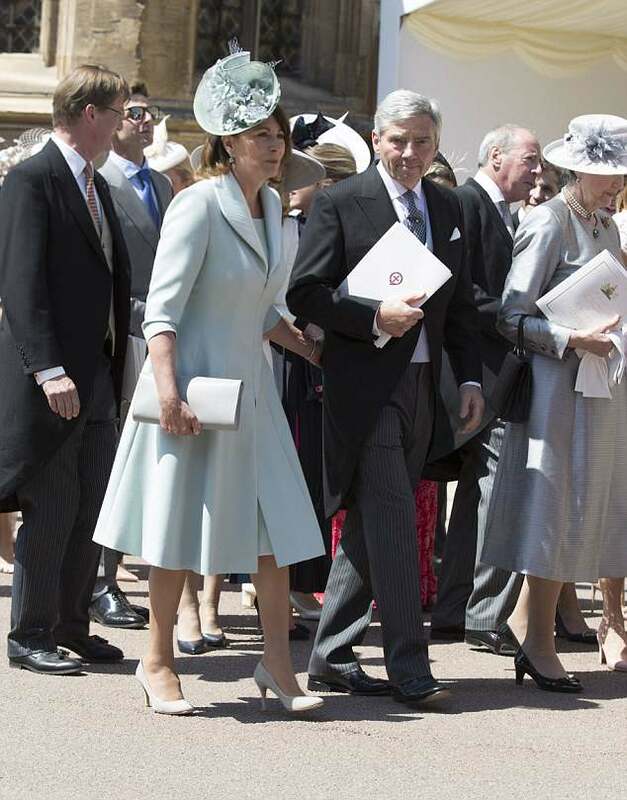 Not too many gloves on show: the Duchess of York, a surprise hit on the day, was a rare fan, with a short navy pair, and the Queen, of course, wore hers. Hats were all proper structures, and not half-baked fascinators. 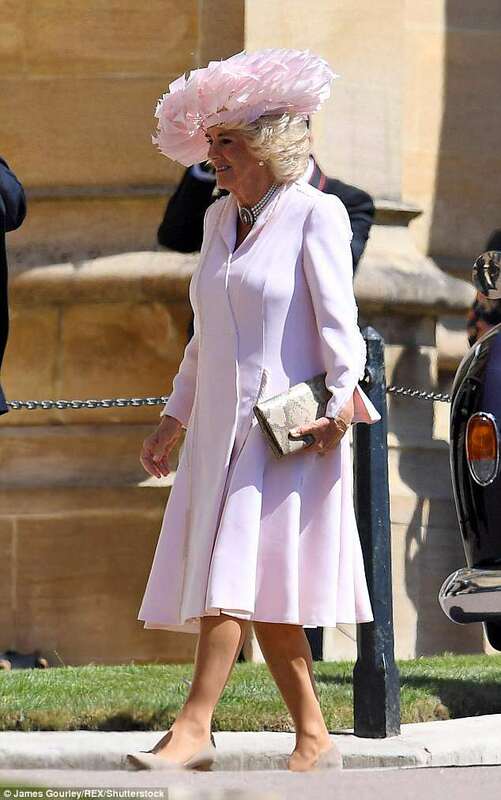 And, thank the Lord, on such a hot day there were plenty of pretty open shoes displaying toe cleavage: not possible if the ceremony had taken place in a cathedral. Heels, though, were as high as the sun in the sky. A drab Noel Coward look for Princess Anne – was that a dressing gown she arrived in? Hmmm, didn't think it was that amazing a dress. Oh well. 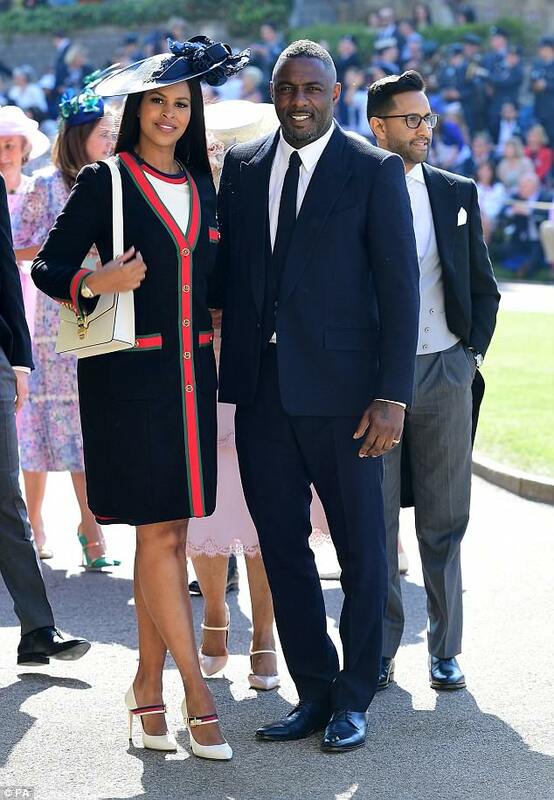 While all eyes were on the bride in her £200,000 Givenchy gown on Saturday, VIP guests certainly kept the style stakes high as they flocked to Windsor in an array of designer outfits. 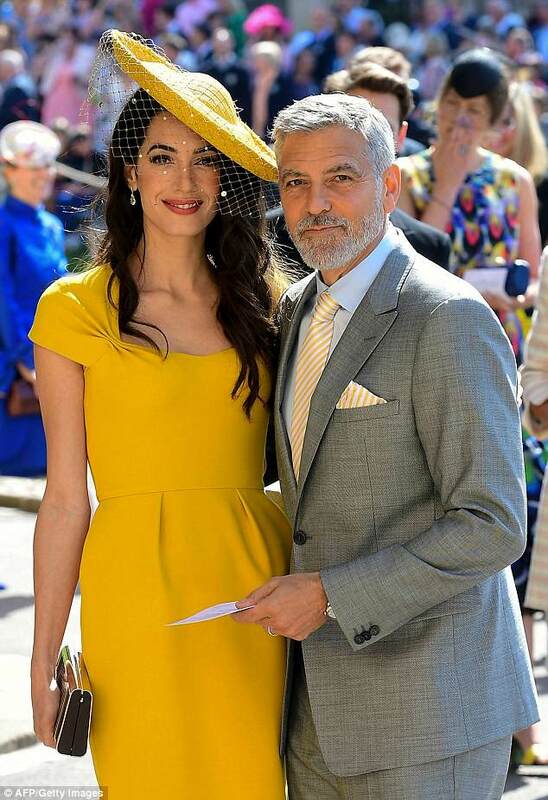 Now it's been revealed that Amal Clooney, 40, was officially the best-dressed in the eyes of royal fans, as her Stella McCartney was the most searched for guest outfit following the royal wedding. Data from global fashion search platform Lyst has revealed that 17,000 people, from 65 countries, have searched for a yellow Stella McCartney dress since Amal's appearance at the royal wedding on Saturday. While not everyone has the budget for a designer buy, searches for yellow dresses are up 1,500 per cent week on week since the human rights lawyer who is married to George Clooney attended the big day. 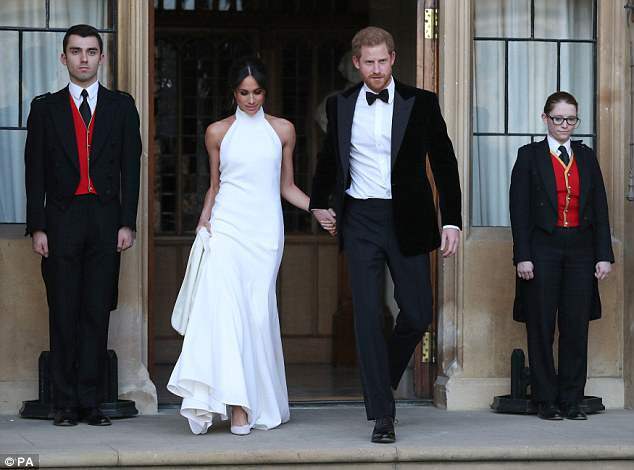 Traffic to Stella McCartney dresses increased 3,000 per cent compared to the previous day, which is no doubt thanks to both Amal and Meghan who chose a white halterneck gown by the British designer for the evening reception. Yesterday, the British designer, 46, spoke of her pride at being chosen to design the slinky halter neck gown Meghan, 36, wore to the evening reception at Frogmore House. 'I am so proud and honored to have been chosen by the Duchess of Sussex to make her evening gown and represent British design,' she told WWD. Out of all the guests' I saw, Amal's dress was my favorite. Amal's dress was a favorite of those at my Bid Whist club. The mention of George Clooney also brought bright smiles and lots of giggles, George was admired by all in the conversation. The international human rights lawyer arrived wearing a bright yellow Stella McCartney dress. And her husband was there with her. That short report was also noticed in every Finnish newspaper starting a conversation about gender equality. Has it made headlines in your home countries? 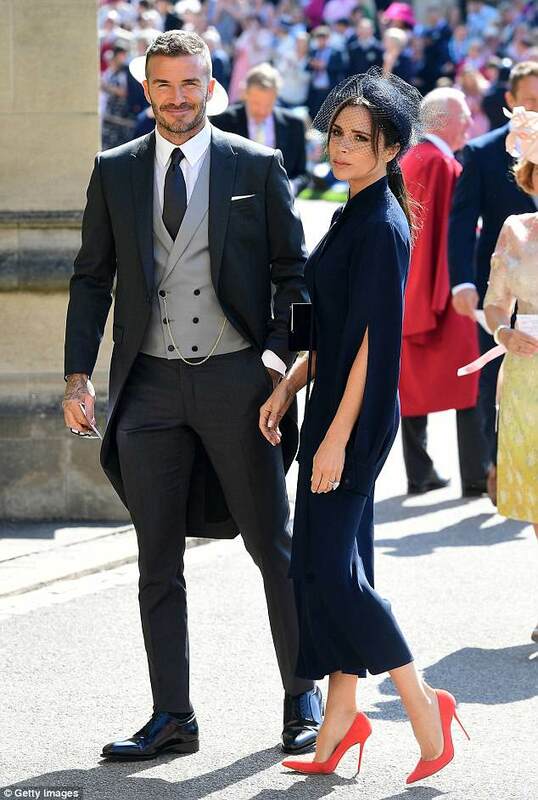 I know Victoria Beckham doesn't like the way she looks when she smiles, but come on it's a wedding and she looked miserable. I think she has a lovely smile . Oh, that's why she doesn't smile. I thought she just played a character on public occasions. Amal was wearing a Tala bag. She posted some pics on her Insta. Yes, I saw that headline (couldn't remember which newspaper). Made me smile. Oh my... There are so many!!! The link you provided only has two pictures, what are you referring to? These ladies certainly do have good taste in men. I wonder what George is thinking about. The twitter clip just makes my heart happy. PAN thanks so much for posting it. Donnamarie wrote: These ladies certainly do have good taste in men. George is probably thinking I could be home with the knuckle heads and how beautiful his wife looks. he has worked for and is enjoying. All his friends have said he hasn't changed one bit and I believe them. annemarie wrote: George is probably thinking I could be home with the knuckle heads and how beautiful his wife looks.